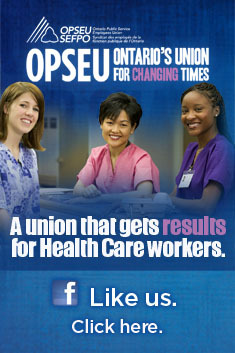 Budget 2011 may be tough for much of the public sector, but there are some modest improvements in health care. These may be needed as other sectors that impact the social determinants of health continue to be significantly underfunded. Overall health care will receive an increase of nearly $2.2 billion – about the same as 2010. That brings provincial health spending on health to $47.1 billion. The good news is struggling Ontario Hospitals will see assistance over the next three years to deal with their accumulated debt. The government has committed $600-$800 million to restore the working capital position of the most financially distressed hospitals. This may be particularly good news for hospitals such as Peterborough Regional Health Centre, the Sault Area Hospital, and the Niagara Health System. By addressing hospital debt, it may place communities on a more level playing field when it comes to program funding. Hospitals carrying large amounts of debt spend more servicing that debt, giving them less flexibility in providing front line care. Hospitals will receive a similar base increase to last year – 1.5 per cent. Recently hospitals were asked to project what their situation would look like under a zero per cent funding change. Many projected deficits in the one to two per cent range. It is unclear how much pain would have been involved in reaching those deficit targets. In the South East LHIN, for example, a zero-based budget would have plunged five of seven hospitals back into debt. Seeing this, the government may have been reluctant to see hospitals slip into the red after difficult years of climbing out of it. For home care and long term care, the government has offered up stable funding increases of three per cent per year over the next three years. While it signals a change in the right direction, it will likely not be enough to meet the expectation that significant numbers of hospital alternate level of care patients will soon find nursing home beds and home care. The biggest winner is the children’s mental health sector, which has a commitment of $257 million over the next three years. The government says this is the beginning of its commitment to mental health, leading one to question whether adults seeking help will be left waiting. To leave the provinces psychiatric hospitals at status quo and bring community-based agencies up to the 60-40 funding split recommended by the Health Restructuring Commission, it would take an additional $1.3 billion. Other new money includes $15 million over three years to provide about 90,000 more breast screening exams. This would expand the program to reach women between the ages of 30-39. The pharmacists are getting a significant reward after last year’s battle over generic drug prices. $100 million is set aside to enhance pharmacy services and support to Ontarians who receive coverage through the Ontario Drug Benefit program. The government says it is still committed to reducing annual health increases to three per cent despite this year’s overall increase, which is slightly less than five per cent. Despite the increases, gone is the rhetoric of last year that health care was eating up an ever greater share of provincial program spending. Instead the language is more election hardened, suggesting the McGuinty government is making investments in health and education. According to the 2011 budget, health care takes up 42 per cent of program spending, down from last year’s 45 per cent. Existing drug reforms are expected to save $249 million per year. By expanding bariatric surgery in province, the province expects to save a further $21 million. Other laboratory tests and drug therapies are expected to be brought in-province to save a further $29 million. The budget also suggests there will be further lab consolidation – likely to include public health. In the last few years hospital funding has been a lightning rod in many communities. The threat of ER closures brought thousands out in towns such as Port Colborne and Petrolia. Mayors in towns like Shelburne and Burk’s Falls expressed frustration over the closure of hospital sites. Thousands came to a spring rally at Queen’s Park, leading to a review of rural and northern health. For the 2011 budget, clearly the McGuinty government has made no large initiatives with regards to health care. Those will have to wait until after the election. “Given that one in five people in this province will have a mental health illness at some point in their life; this is a good first step. However, it’s imperative that the government extend funding beyond children and youth so that all Ontarians including Aboriginal people who suffer mental health challenges can receive the help they need and deserve.” — Doris Grinspun, Executive Director, Registered Nurses’ Association of Ontario. “For the second consecutive year, the government has increased Ontario hospitals’ base funding by just 1.5%. This simply does not keep pace with the annual cost increases in most Ontario hospitals today. Unless such an increase is accompanied by corresponding, meaningful investments in home care and long-term care to move us toward a more sustainable health care system, we’re going to see negative impacts on the workloads of nurses and the outcomes of their patients.” — Dianne Martin, Executive Director of RPNAO. “With wait lists growing and more than 90 per cent of home care workers living in poverty, it is vital these investments go straight to frontline care. We cannot afford to waste money on bureaucracy and CEO bonuses.” – Sharleen Stewart, head of the Service Employees International Union (SEIU). “This is really a good news budget for long term care home residents. We are very aware of the unprecedented fiscal challenges this government continues to face. This level of investment in the current environment clearly demonstrates the McGuinty government’s commitment to improving the lives of Ontario’s seniors.” — Debbie Humphreys, Acting CEO of the Ontario Association of Non-Profit Homes and Services for Seniors. Improvements for health care will always be modest, for politicians it is just not the most important thing on their list of things to do.